If you receive a 401K or other type of deferred pension plan from your employer, make every effort to contribute the maximum amount allowable. Otherwise, you will not get as much money as you could during your retirement. Think of the employer match as an immediate 100 percent return on your money. Even if there is no match, all of the funds are tax-deferred and grow tax-free. In case you don’t receive a retirement plan from your employer, then ensure to make a contribution to a traditional individual retirement account or a Roth IRA. Although both of these options provide tax-deferred gains but you can also receive a tax deduction for the year you have contributed to a traditional individual retirement account. If you are anticipating a large refund, it’s important to monitor your year-to-date withholding and also think about changing the taxes withheld. Particularly when you are claiming the earned income tax credit, the additional child tax credit, or EITC because the IRS is now required by law to hold all refunds on those returns until Feb. 15. This new law will provide the agency additional time so that they can catch tax fraud and deter it. IRS Commissioner John Koskinen said in a statement: “It’s a personal choice if you want to have extra money withheld to get a bigger tax refund, but you have options available if you prefer to have a smaller refund next year and more take-home money now.” To adjust the amount of taxes withheld, you will be required to complete Form W-4, Employee’s Withholding Allowance Certificate and then submit it to your employer. In past, if you got an Identity Protection PIN or IP PIN then it is important to provide this number during the time you return your tax. An IP PIN is a six-digit number which is provided to eligible taxpayers. It assists in preventing fraud returns from being filed through your Social Security number. The IP PIN will help you in receiving the IRS to accept your tax return. Also, remember that IP PIN changes every year. IRS states that one out of every five workers fails to claim the very valuable earned income tax credit. In case you worked and earned less than $53,505 in 2016 (the limit will be $53,930 in 2017), then use the EITC Assistant tool to determine if you qualify for the credit. In order to receive the credit, it’s essential for you to file a return. 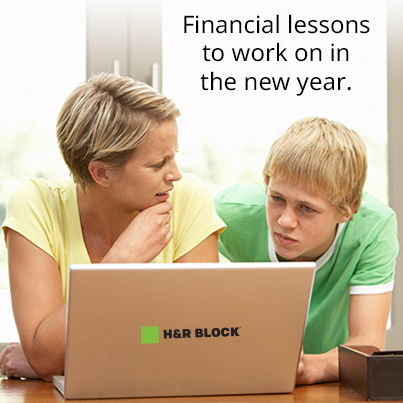 More Zero from H&R Block – File 1040EZ, 1040A, and 1040 w/ Schedule A Tax Filers FREE (State & Federal). eFile your federal taxes for free today with H&R Block. Code: File your Taxes Free! 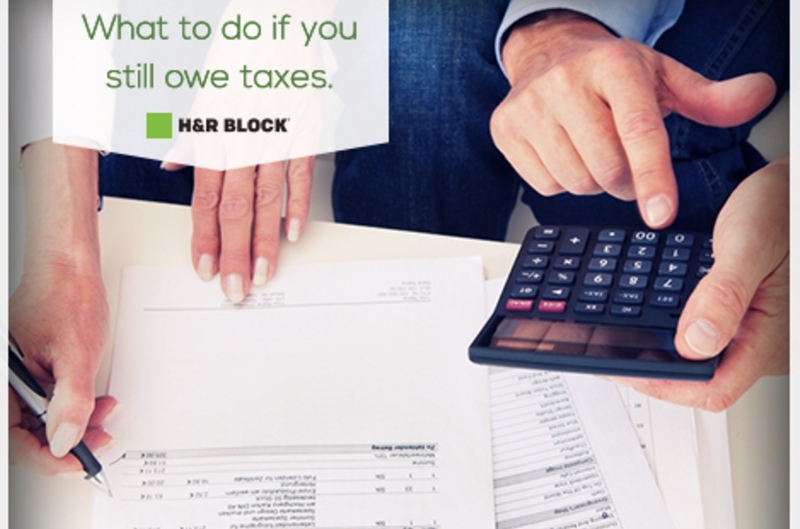 Free federal and state filing at H&R Block! Even by giving away the items that you don’t require you can make money. Currently exists various charitable organizations that apart from cash also accept items, for instance, clothing, books, electronics and other household articles that are in good condition. The deduction is limited to the articles’ fair market value. In case the value of the noncash items is exceeding $500, then you need to file Form 8283, Noncash Charitable Contributions. There can be some tax savings for you if you, your spouse or dependents had higher education costs in 2016. Furthermore, there are multiple benefits available, too such as the American opportunity credit, the lifetime learning credit and the tuition and fees deduction. There are numerous conditions that may curb the benefit, but the IRS offers yet another beneficial tool: the Interactive Tax Assistant tool. It can assist you through the entire process. You should receive Form 1098-T, Tuition Statement, from your school with the information required by the IRS to complete Form 8863, Education Credits. TaxACT Free eFile – Prepare, Print & File your tax returns online. Tax Filing Made Easy! 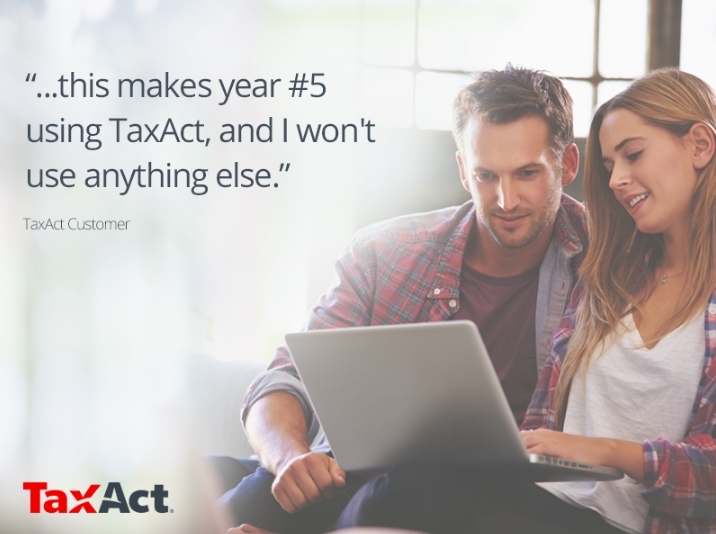 Get started with TaxACT Free Federal Edition now. Code: Get Fast, easy, and FREE tax filing for simple returns with TaxAct! Be aware of what you require to report to the IRS on your health insurance. You can check the box that indicates you had health care coverage for entire 2016. If that is not the case or you got advance payments of the premium tax credit on the marketplace, then you may need to fill out Form 8965, Health Coverage Exemptions, and Form 8962, Premium Tax Credit, to complete your tax return. Make sure to file “FBAR,” a foreign bank account reporting form, in case you have a foreign bank account and its balance is greater than $10,000 total. The new name is FinCEN Report 114, FinCEN being an acronym for Financial Crimes Enforcement Network. Furthermore, you’ll need to file IRS Form 8938, Statement of Specified Foreign Financial Assets if your foreign accounts have high balances. In case you are the beneficiary of a foreign trust or meet certain thresholds of ownership in any foreign corporations, it’s important for you to know the complex reporting obligations in such situations. Some of the pertinent forms are Form 5471, Information Return of U.S. Persons With Respect to Certain Foreign Corporations; Form 3520, Annual Return to Report Transactions With Foreign Trusts and Receipt of Certain Foreign Gifts, Form 8621, Information Return by a Shareholder of a Passive Foreign Investment Company or Qualified Electing Fund. The IRS alters the annual exclusion for gifts that you can give without having to file a gift tax return. You should report the gift on Form 709 in case you presented someone with more than $14,000 in cash, property or gifts. When you file your return electronically and use direct deposit, you get your refund quickly and swiftly. In case you owe money, use IRS direct pay from your checking or savings account. It’s also important to have a copy of your filed tax return.